Travelling with teenagers, on a fun family vacation can be an amazing adventure, there is always stuff to do with them and everyone can have a great time on a family vacation. Deciding where to go can be a tough decision, you want to find somewhere that not only interests you, but has cool stuff for your teen to do as well. Lets check out Las Vegas, Florida keys and San Francisco, since all are packed with many things for everyone to see and do. Las Vegas is now more designed with youth in mind; it is rather like a large carnival. The atmosphere is fantastic and the people are so friendly, they keep all of the visitors amused for hours especially the families, with their tricks and performances. The street entertainers are some of the best in the world, and we found the amusement rides to be as good as other parks in America. Adventure dome is a must see place, it is a five acre glass dome where the largest indoor theme park is situated. There is just so much to see and do whilst we were inside it, we could have easily spent more time there. Also in Las Vegas there are the mini grand prix, the cyber speedway and the games zone. These all cater for different ages, and every member of our family was entertained and kept happy. 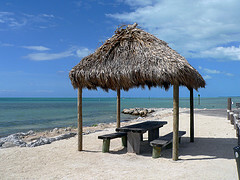 Florida Keys is a place of beauty, there is so much scenery and amazing things to see here. The Everglades national park is spectacular, and offers so much to do and see. There are hiking trails, bike paths or horseback riding available, and they offer one of the best campsites for you to stay at. Whilst at the park you must take a thrilling air power boat ride where you can take in the sights and see all the local wildlife including herons, pelicans and of course the alligators. The keys offer some amazing snorkeling and scuba diving, and even our teens ventured into the water to see some fantastic fish up close. The restaurants were fantastic here, offering the best seafood and local specialties; they all cater well for youth and welcome them with open arms. 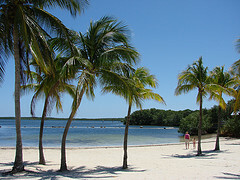 If you want a fun packed vacation going back to nature then the Florida Keys are ideal and our family loved it. Doing the whole tourist bit in San Francisco is fantastic; there are some spectacular sights and adventures to be had around every corner. 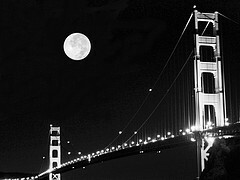 The golden gate bridge is one sight that you cannot miss, and its pure size makes it an amazing landmark. Taking a visit to Alcatraz is always popular, our kids loved to see mom and dad locked in jail, and whilst we were having the famous tour we fully embraced the feel of the rock and the history which surrounds it. One of the things that my teens loved the most was riding the cable cars, not only are these great for getting about but they are unique and quirky too. With so much to see and do in San Francisco you are bound to want to return time and time again. Have fun at all these Family Vacation Spots with your teens!